Traumatic brain injuries can often result in long term and permanent impairments for victims. Cognitive and motor function loss is just some of the associated issues that can be caused by these injuries. There can be a whole range of impairments both physical and mental caused by traumatic brain injuries and with head trauma being the leading cause of death in Canada, it is crucial to have an experienced personal injury lawyer fighting for you when it comes to these potentially life altering injuries. Injuries of the spinal cord and column can result in paraplegia and quadriplegia which are some of the most devastating conditions an injury victim can have. The level of changes that will be required in the lives of the victim and their family is not only emotionally and psychologically overwhelming but financially as well. Spinal cord injury victims may require lengthy rehabilitation and counseling in order to adjust to their condition and regain some of the mobility they previously enjoyed albeit now assistive devices may be required by the victim in order to accomplish even the basic tasks. Because of the unpredictable nature of spinal cord and brain injuries as well as the lack of complete understanding from the medical side, the victims of these injuries may require prolonged periods of rehabilitation, treatment and counseling in order to adjust to their conditions. With the effects of concussions being debated in the media in recent times and how athletes can be affected by brain injuries long after retirement, having an understanding of what your rights and entitlements are, can assist those of us not enjoying the retirement funds of a superstar athlete. If you or a loved one became the victims of an accident in Belleville, London, Gloucester or Fergus resulting in a traumatic brain injury or a spinal cord injury, contact the legal team at EBPC Personal Injury Lawyer. We will provide you with a free consultation and advise you of your rights and options. 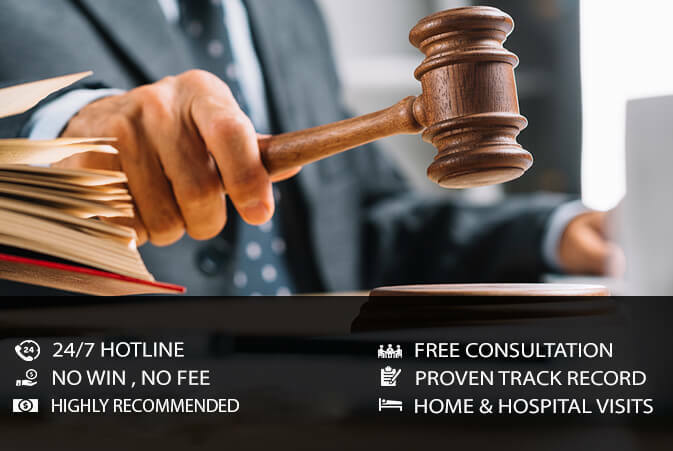 We have won countless cases all over the province of Ontario and can help you and your loved ones. We will ensure that you receive the compensation you are rightfully entitled to by law. Your rights are our passion; call us today to experience the EBPC Injury Law difference. You don’t pay unless we win your case.